Google announced its games streaming platform Stadia at GDC yesterday, and has effectively ripped up the rulebook for gaming as we know it in the process. In short, the digital platform, launching in 2019, will allow users to stream games via the internet on any device. No need to purchase an expensive console, no need to purchase physical games, no need to download games or patches. A demo on stage showed a user playing the beautiful Assassin’s Creed Odyssey via a Chrome browser on a laptop, then playing the same game on various other devices including a mobile phone, tablet, low-end PC and finally on a big TV. It was quite an impressive demo and points to an exciting future. 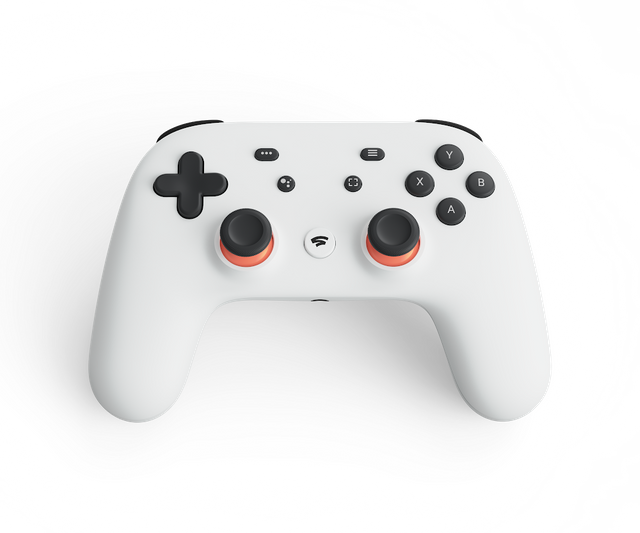 To avoid issues with lag, Google’s controller connects directly to the internet, allowing for those all-important split-second reactions that gamers rely on. Well, yes. Let’s get the caveat out the way that OnLive attempted this a few years ago and failed. So why would it work for Google? Well, it’s Google, for one. Time has also moved on since OnLive’s attempt and high-end internet infrastructure is continuing to improve and be more widely adopted. Add to that the future potential of 5G networks that remove the need for physical broadband connections and we’re suddenly looking at a world where the best internet services are no longer only available to those who live in densely populated urban environments. Is this the end of Microsoft, Sony and Nintendo? Almost certainly not. We know that Microsoft is already working on its own cloud streaming games service Project xCloud and Sony already has its PlayStation Now service built on the back of its purchase of cloud gaming company Gaikai. What this is then, is a fundamental shift in the way we play games. In the same way that Netflix, Amazon, Spotify and others have changed the way we consume film, television and music, this is the next evolution in how we consume games. Google has set the bar particularly high, though, so competitors will need to put considerable effort into their own services if they’re to match or better this service. What does it mean for the gamers and developers? Unlimited potential. For gamers, the barrier to entry has just been removed. No longer will you need to front up large sums of money for consoles every few years. Old games won’t need to hide in cupboards for years, waiting for the day you dig out an old console and dust it off. Your digital library will stay with you. Developers will no longer have their hands tied by the physical limitations of each console. Now that the power is in the data centre and can scale accordingly, developers can dream as big or small as they like. Add to that some genius work on Google’s part of allowing instant purchasing and playing, the way games are bought will change. Another demo showed a clip of the Assassin’s Creed Odyssey trailer playing on YouTube, whereupon a Play Now button popped and the player was able to instantly start playing the game. We’re talking mere seconds from seeing the trailer to playing the game. It really is a new world out there. Add to this the fact that Google’s cloud-based infrastructure evolves to meet the demands of players and developers, you essentially have infinite possibilities. The conference was perfectly executed on Google’s part and the next few months will be interesting to watch how Google’s communications strategy plays out with pricing announcements, partner strategies and its own first-party strategy. It will also be fascinating to see how the likes of Microsoft, Sony and Nintendo respond, not to mention the rumours that Amazon may well be looking at this space. I for one cannot wait to see how this new future of gaming plays out. Stadia looks very ambitious, but how much is the controller, how much is the service, what games do we get, how will ownership work, and how much does it cost to develop, publish and run games on Stadia? i think the Stadia keynote presents the access to more processing as a fundamental barrier for the future games design, while showing Google is best positioned to solve that problem. which of course, by coincidence, is their best strategy for entering this lucrative market.